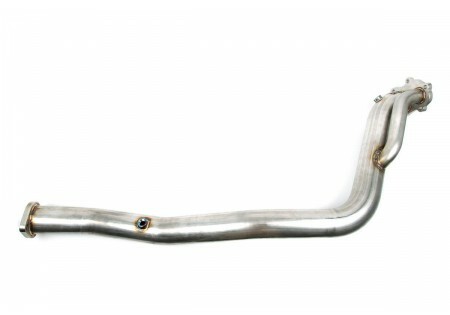 GrimmSpeed is proud to introduce their Catless Divorced Downpipe for Subarus. It's safe to say, the years their engineering department spent on this downpipe have paid off. 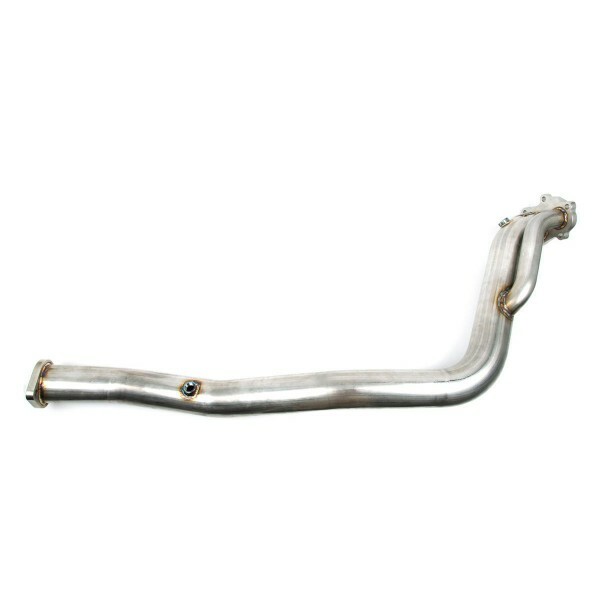 A GrimmSpeed Catless Divorced Downpipe is one of the first modifications that should be done on your car. 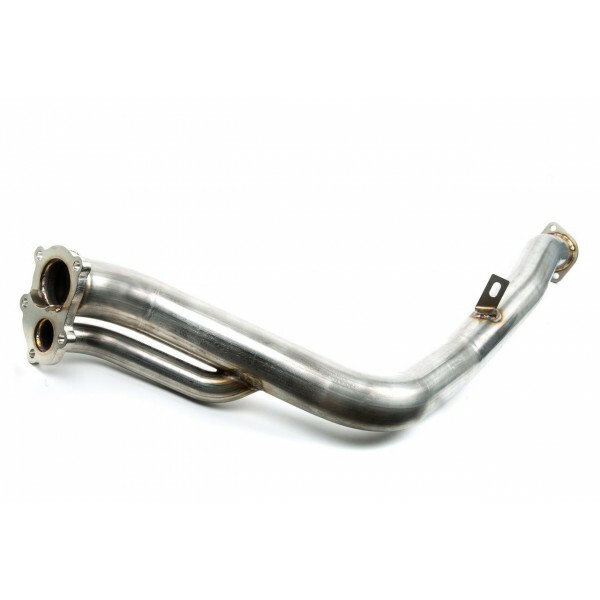 The OEM downpipe contains two very restrictive catalytic converters, killing the power potential of your car (not to mention the oem blocked wastegate port). 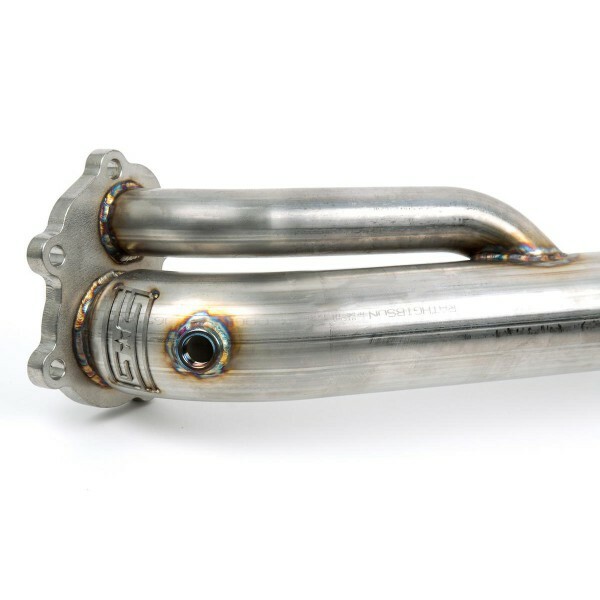 You are looking at a top-of-the-line fully USA built Downpipe. All materials, engineering, R&D, fabrication, etc are straight out of the USA. 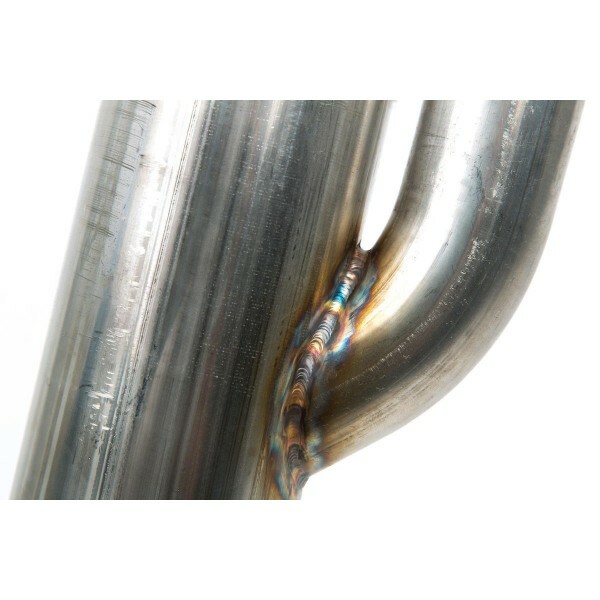 The tubing is CNC Mandrel Bent 304 Stainless Steel using our custom made bend dies which give you the best fit and performance possible. Please take a second to check out these 304 Stainless Steel flanges...a serious work of art. All 3 sides of the flanges are CNC Machined to perfection. If that isn't over-the-top enough for you, check out the new 3-D Contour Flange. 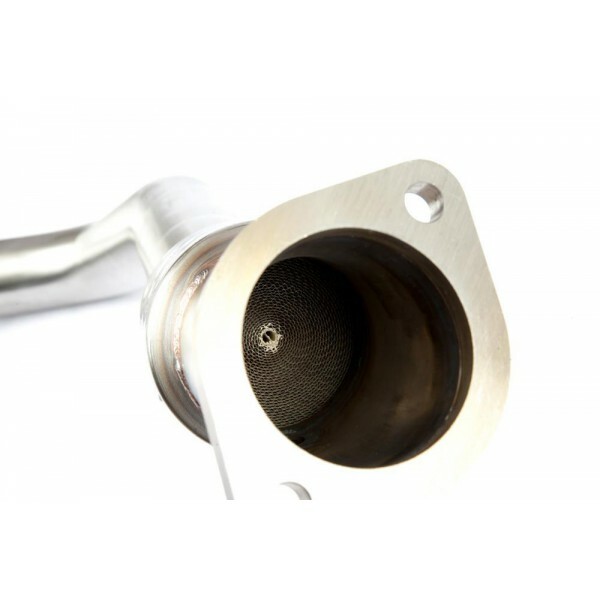 Instead of the exhaust hitting a flat wall like on most divorced downpipes, GrimmSpeed has spent a lot of engineering(and machining) hours creating a nice smooth transition through the wastegate port for the ultimate in boost control for you. 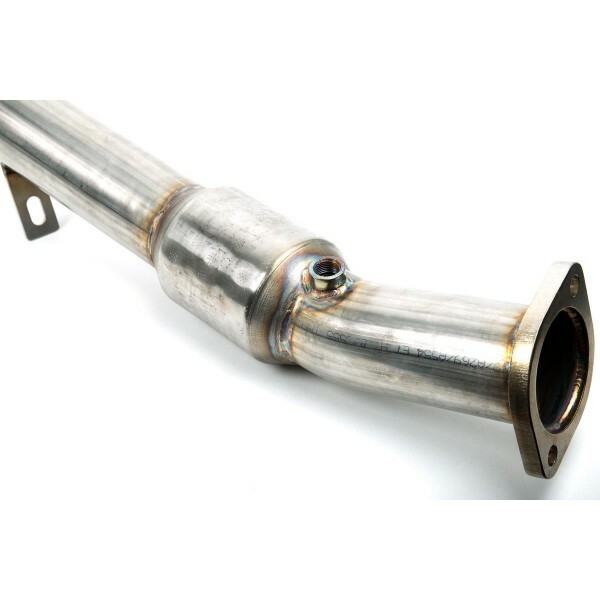 The outlet of the downpipe has a standard 3'' 2-Bolt flange that will mate up with most aftermarket cat-backs on the market. 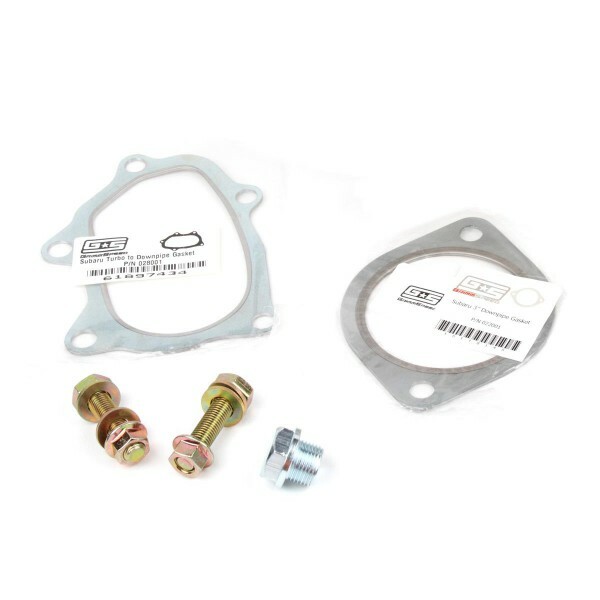 They have also included a wideband O2 bung for you if needed. Having a secondary O2 Bung saves you time and money because you will not have to pay a shop to install one for you. FARO Arm for perfection. During design, GrimmSpeed utilizes their in-house 7-axis FARO Arm to obtain extremely accurate fitments. What this means is, they scan all of the mounting points on the car, bring those into their CAD software, and then begin designing the pipe around the scanned oem data in Solidworks CAD software. 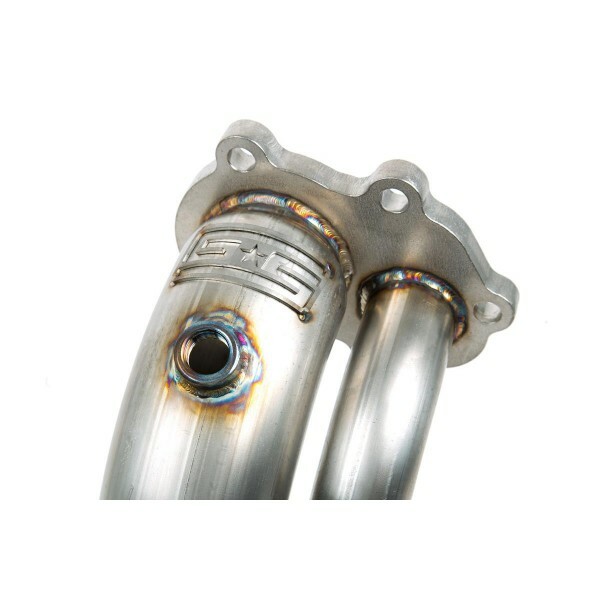 Most downpipes(or exhaust pipes for that matter) on the market are designed using fixtures. 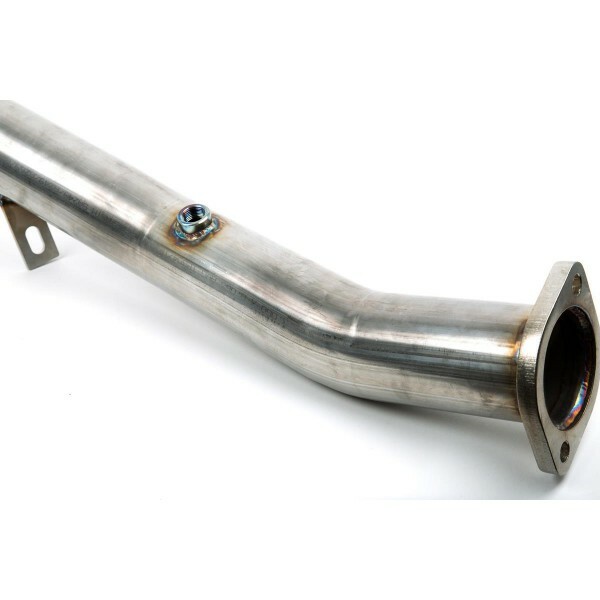 Essentially their competitors will create a welding fixture by hand off of an oem part. This leads to a ton of chances for things to be off. GrimmSpeed doesn't take those chances. They have spent the capital on R&D equipment where others have not.....for you. 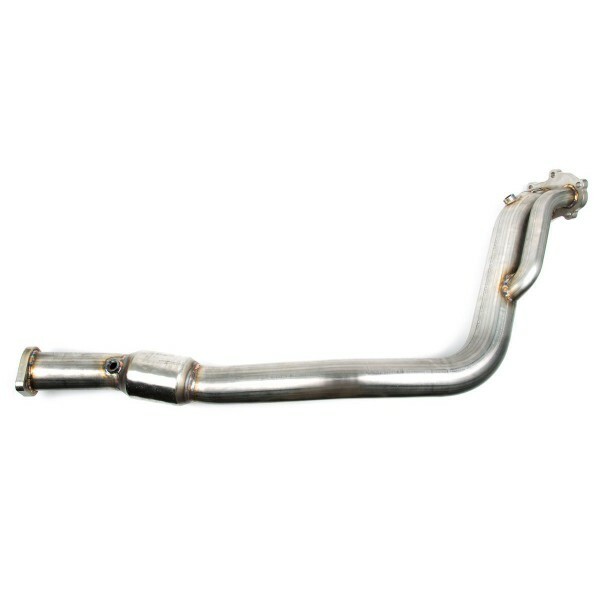 Replacing your factory catalytic converter sometimes causes a ''cat converter efficiency'' check engine light. You can either use tuning to delete this CEL or you can use a mechanical fix.